I love my Annick Goutal Petite Cherie! Sharing my love for fragrances today. I love scents and aromatherapy but because I lived with my x-fiance who has a nose like a dog I couldn't wear any perfumes for as long as I can remember. More over any kind of scent - aromatherapy, diffuser, room spray cannot be used. He'll throw such a tantrum and open all the windows to air the house / room. Sheesh! BUT alas I am free to spray and spritz my perfumes on myself everyday and fill my room with scented candles, aromatherapy, potpourris and diffusers *joy to the world*. Sharing today is my all time favourite day perfume by Annick Goutal. I just love and adore Annick Goutal so much and I bought their ever popular Petite Cherie perfume. They cost a bomb but oh my, I just couldn't resists such lovely fragrance. They're one of a kind, luxury must have in any girl's perfume collection. 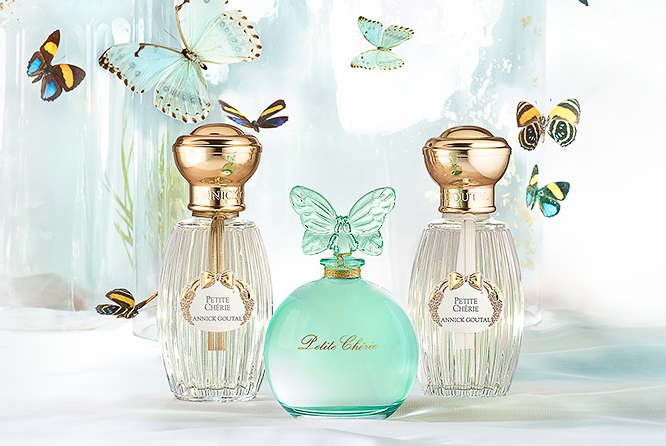 oh I wish I have the butterfly bottle one! A bit about Petite Cherie. 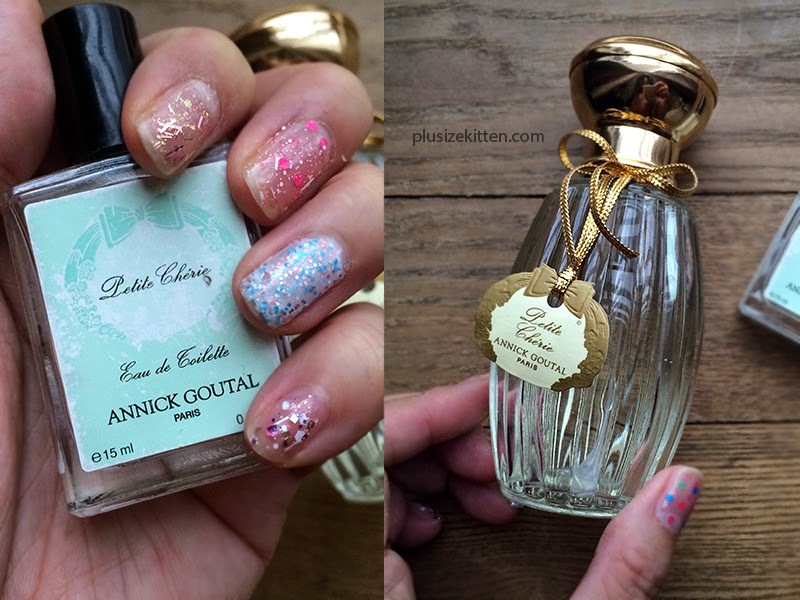 It's the scent Annick Goutal created for her daughter as a gift in 1998 (how sweet). Annick had already created one before named "Eau de Camille" but later on created the Petite Cherie - an irresistible, sensual and seductive fragrance which she describes as being "reminiscent of a young girl's cheek that you want to lovingly kiss" to her daughter. You can see why I'm in love with this scent. Petite Cherie is a sweet floral scent of pears, peaches, musky rose, freshly cut grass and vanilla (my favourite flavour haha). I can't live without this perfume, so I have Petite Cherie EDP 100ml (RM599) at home to spritz before going out and a travel size Petite Cherie 15ml (RM120) that I carry on for emergencies. Anyone else loves this scent too?. But i bet d smell worth every cents that u spent rite tammy?? Its my favourite perfume too.. Bought once their special edition pink ribbon one..i think christmas or smth few years back..
me.. me.. but tammy.. i bought it online frm fb fren.. believe me.. you'll scream once you know the price. Oh the scent is sooooooooo makes me wanna fall in love again n again.. now its pink ribbon.. limited edition but dunno if my fb frens still selling.. fast yoo..